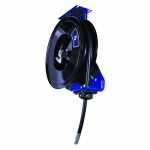 Graco hose reels from MotionSource feature Graco durability, performance and value built into every reel. 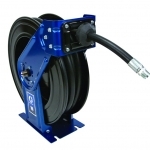 With metal spools and dual pedestal frames, Graco hose reels are ideal for rugged, indoor and outdoor use in heavy-duty truck dealerships, fleet maintenance, mining maintenance, public works garages, construction vehicle maintenance and heavy-duty service trucks. 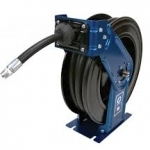 Engineered for robust/heavy-duty applications such as mobile lube trucks or large equipment service, Graco hose reels are recognized for their lost cost, low maintenance capabilities. 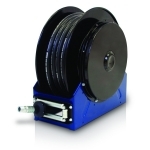 Designed with durable steel spool rides on sealed roller bearings for trouble-free performance, maintenance is low and equipment lifetime extended with Graco hose reels. Call us for a free quote, 888-963-6686 or email Sales@MotionSource1.com or simply complete the Quick Quote form to your right and receive a call back within 10 minutes. That’s our pledge. With Graco PMG equipment in stock and ready to ship, there’s no reason to go anywhere else. Work with the industry experts and give us a call at MotionSource today. MotionSource services and installs everything we sell. 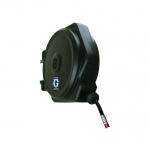 That includes Graco hose reels. Ask your MotionSource rep about our low-cost maintenance contracts. For a fraction of your purchase, we can provide you with a preventative maintenance agreement and can extend your manufacturers warranty for up to 10 years. Work with the industry experts at MotionSource and extend the life of your equipment. Did you know that MotionSource is also an authorized Graco warranty repair center? Why not have one of our Graco trained technicians evaluate your pump and hose before you buy new. If you are within warranty, we’ll fix it free! If not, we’ll let you know your cost to repair. It’s as easy as calling us at 888-963-6686. When you work with MotionSource you’re working with the premier Graco source!